Although often dwarfed by the better known Japanese auto manufacturers Daihatsu is actually the oldest car manufacturer in Japan. 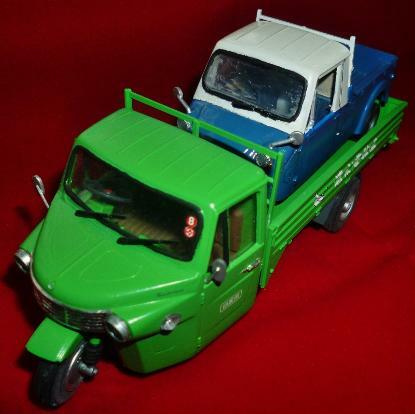 Daihatsu Motor Co., Ltd. is known mainly for it's small cars and off-road vehicles. Originally the Osaka company was founded in 1907 and called Hatsudoki Seizo Co. Ltd when it built engines for power plants. In 1951 it was re-branded as Daihatsu and started exports to Europe in the 1960s, but sales didn't really take off until the 1980s. Like Mazda Daihatsu made three wheeled trucks for the versatility they offered in the tight crowded cities of Japan. 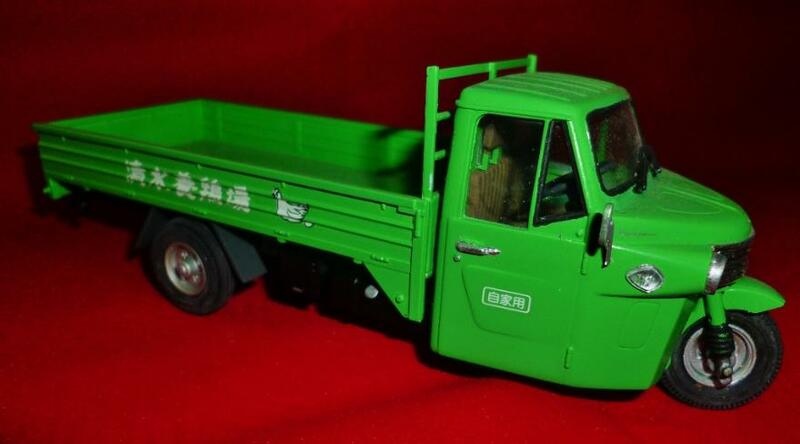 Hatsudoki started producing 3-wheelers in 1930, and by the 1950s was making three wheeled vehicles capable of carrying up to 2 tons. Their first vehicle was essentially just a motor-tricycle with a luggage area between the two rear wheels, but these developed over time and in 1951 the company made their first passenger car; the Daihatsu Bee. 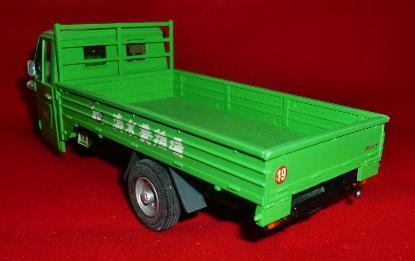 The Daihatsu Bee was not a success and only 90 of the fibreglass bodied vehicles were built. Much more successful were the commercial vehicles. Extensive market research of consumer needs revealed a widespread desire for a high-quality, lightweight, three-wheel truck. 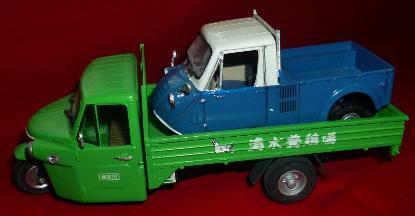 Daihatsu's response was the 1957 Midget minivehicle of which they sold over 80,000 in Japan alone. The 1950s proved to be a golden age for minivehicles and small passenger cars in Japan. 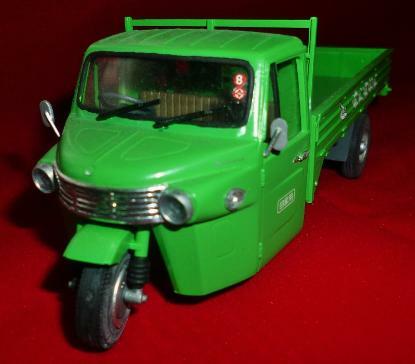 The company was taken over by Toyota in 1966 and ceased manufacturing 3-wheelers in 1976. This model was built and donated by John Jenkins who has been a good friend to the Museum for more than 15 years. He is currently a member of the Pensnett Modellers club and an all round exquisite model maker. 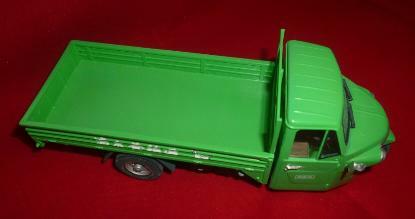 It is painted with Halfords car spray paint for the body colour and usual humbrol enamels for the detail work. Bare Metal Foil has also been used on the radiator front.